Many of the most enticing elements of SoccerCity, the plan to redevelop the former Chargers stadium property around the home of a new Major League Soccer team that’s on the ballot as Measure E, are not included in the initiative itself, but in a letter its proponents sent to the mayor committing to additional public benefits. That’s led to a persistent question on the campaign trail: Is a letter to the mayor a legally binding commitment? Can voters vote yes on Measure E with confidence they’ll get those added perks? Andrew Keatts talked to a handful of municipal attorneys to get some clarity on the question. Some of them sided with City Attorney Mara Elliott, who has said unequivocally that the letter is not legally binding. That’ll be welcome news to supporters of Measure G, the SDSU West plan that would let the city sell the land to the university, who have argued that not only are the promises not legally binding, but that the components meant to win university support don’t even satisfy SDSU’s needs in the first place. But one attorney tentatively sided with Measure E backers, arguing that if the investment group behind the initiative backed out of its commitments and the issue ever ended up in court, a judge would probably determine that voters thought they were getting those sweeteners. Likewise, SoccerCity sussed out its argument that the initiative, letter, backers’ public statements and the ballot materials all point in the same direction: These are promises. The upshot? It’s one more contentious and complicated point in a campaign that’s been defined by them. Meanwhile, the U-T reviewed an anti-SDSU West ad and concluded that most of its claims are misleading. Padres General Partner Peter Seidler says he’s neutral on the SoccerCity proposal he once backed but, as Union-Tribune columnist Michael Smolens notes, Seidler’s cash has continued flowing to the Measure E campaign. 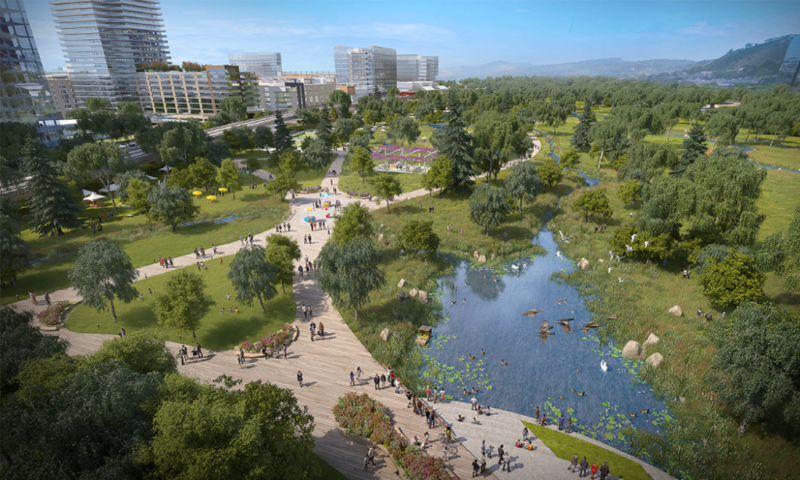 The controversial Balboa Park Plaza de Panama project cleared another hurdle Wednesday. The state Court of Appeal upheld a lower court ruling in the city’s favor. The lawsuit, filed by preservationist group Save Our Heritage Organisation, had argued the city should have conducted more environmental reviews when it revived the project a couple years ago. But the legal fights aren’t necessarily over. SOHO has said it will do all it can to halt the project. The city’s also awaiting a final ruling in another case that challenged its plan to seek bonds to finance its share of the $80 million project. The city’s been quietly been taking steps to ensure it can quickly move forward with the project. Janney specifically acknowledged Sweetwater doesn’t have an integrated position control system. Position control allows various school departments to be able to access the same information about how many people are on staff, how much they are paid, how many positions are unfilled and how many workers are leaving the district. A 2015 audit first obtained by Voice of San Diego indicated Sweetwater should institute position control as soon as possible. The report also said Sweetwater needed to raise revenue or cut costs in order to remain fiscally solvent. As we’ve reported, the Board of Trustees gave raises and increased central staff instead. “Our budget situation has been described as serious, significant, challenging, difficult, even a crisis,” said Janney at the meeting. Janney didn’t say how she would describe the problem, but said responsibility for the mistakes rests with her office. At a federal agency’s urging, regional homelessness leaders are planning dramatic changes to their annual homeless census after excluding hundreds of homeless San Diegans from the most recent count. In a letter sent to local homeless advocate Michael McConnell, a top bureaucrat at the federal Department of Housing and Urban Development wrote that the agency has advised San Diego’s Regional Task Force on the Homeless to revise its methodology after it failed to properly count homeless people living in RVs. But Norm Suchar, the HUD official who oversees homeless census efforts nationwide, did not directly criticize San Diego’s decision not to include RVs in this year’s census. The Task Force would have needed to count the people living in RVs, verify they are homeless and tally more of them to develop a reliable sample, Suchar wrote. Supervisor Ron Roberts, who chairs the Task Force, tried to put a positive spin on the letter. Roberts’ tweets didn’t mention Suchar’s conclusion that this year’s data-collection process didn’t meet HUD standards. Tamera Kohler, the Task Force’s acting CEO, said Wednesday that her team is working on a new count process that would span over three days, rather than the one-day snapshot it’s typically done. The plan is for volunteers to try to survey the majority of the region’s homeless population rather than simply count the number of people, tents or RVs they encounter and then later conduct surveys of people living on the streets. “I do have confidence that this information we will get from this point-in-time count will be far more impactful and give us better understanding of this population,” Kohler said. Providers of homeless services rarely criticize government, the hand that feeds. It must be awkward to complain about someone’s poor performance and then ask for more money. But Interfaith Community Services in Escondido does things differently, and its leaders — bolstered by more than 3,000 volunteers — are trying to lead by example. As Jesse Marx notes in the North County Report, the group since 2016 has been setting (and meeting) specific goals for placing homeless people into permanent housing and intends to double that commitment next year. Marx also shares a couple highlights from the third and final Carlsbad mayoral forum, which can be viewed here. During a question about transportation funding, incumbent Mayor Matt Hall said he’d rather prioritize roads, while Councilwoman Cori Schumacher said public transit ridership could be better if leaders invested in it. City Councilwoman Barbara Bry says she supports Mayor Kevin Faulconer’s proposed regulations for scooters popping up across the city, but she’d like to bolster them. In a new op-ed, Bry proposes weekly data-sharing by scooter companies and educational campaigns to promote safe driving, among other policy prescriptions, to address the booming industry. As it’s currently written, Faulconer’s proposal would allow geofencing technology to slow speeds in areas with a lot of pedestrian traffic, including the boardwalks. A suspicious package led fire officials to order the evacuation of the Union-Tribune building, which also houses some staff for Sen. Kamala Harris, KPBS reports. Unfortunately, San Diego has a long history of explosions and bomb scares, including the time publicists promoted a 1924 film called “Dynamite Smith” by bringing a fake bomb to the San Diego Union building. It was all a gag but frightened locals didn’t find it funny. Suspicious packages were also reportedly left Wednesday at CNN and addressed to President Barack Obama and Hillary Clinton. If you missed Politifest, no sweat. We uploaded videos from two additional forums. One is about the future of California, featuring Assembly members Shirley Weber, Lorena Gonzalez and Chad Mayes. The other is about the challenges of big cities, featuring the mayors of San Diego, Tijuana and Sacramento. Over at the Speak City Heights collaborative, KPBS zeroes in on one woman’s struggle to deal with significant rent hikes and a landlord’s fears about not being able to significantly increase rents after property upgrades to help explain how Proposition 10 could reshape rental realities in San Diego. inewsource reports that San Diego fishermen and the developers behind the Seaport Village overhaul have reached a deal to revive the city’s commercial fishing industry. An upcoming rally in support of the state’s gas tax was inspired by 49th Congressional District candidate Diane Harkey. Last week, the Republican said alternative modes of transportation would “not work with my hair and heels,” so another state lawmaker said “he’ll be wearing sensible heels and possibly a blond bob wig on a bike ride,” reports the San Francisco Chronicle. We briefly misidentified the author of Bry’s op-ed on scooter regulations as City Councilwoman Lorie Zapf. The Morning Report was written by Lisa Halverstadt and Jesse Marx, and edited by Sara Libby.